Since his Idol days, Maroulis released his self titled album in 2007 and scored a Tony nomination as Drew in Rock of Ages (Mexican actor Diego Gonzalez Boneta is playing the role in the film version). “Unchained Melody” is currently available on iTunes and Maroulis will include the track on his next album. “Just going to get back to the grind after the (Rock of Ages) tour and do some shows and do some more acting and just try to keep it all moving along,” said Maroulis. 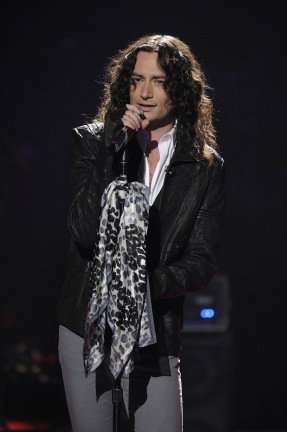 Click on the media bar and listen to Maroulis talk about the joys of touring with Rock of Ages.